Produktinformationen "AirCore Zero KIT Farbe Weiss"
The Zero earned its reputation for being one of WWII's most devious dogfighters, boasting extraordinary agility and impressive firepower. 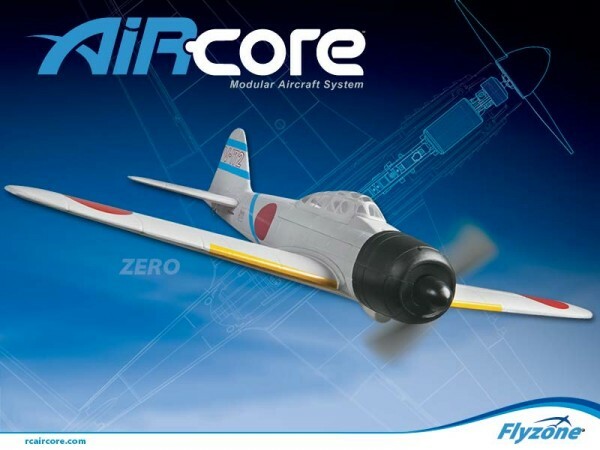 Flyzone has recreated every detail of the infamous Zero with these realistic replicas. Like all AirCore aircraft, both Zeroes are Power Core Ready — it installs and aligns with magnets – so you can be airborne in an instant! Weiterführende Links zu "AirCore Zero KIT Farbe Weiss"
Kundenbewertungen für "AirCore Zero KIT Farbe Weiss"